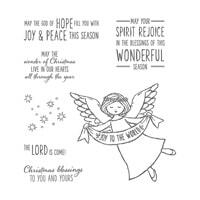 Wonder of Christmas by Stampin’ Up! Good morning stampers and crafters I hope that you are doing well this morning. Today I will be sharing with you a card created with the Wonder of Christmas Stamp Set. 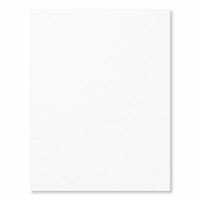 This is a wonderful card if you want to do just a simple card or you can make it more by watercoloring, or using markers to color in the images. Here’s a look of the stamp set. The stamp set has some great sentiments and the fonts are wonderful. This stamp set can be used to make some quick & easy cards for the holiday either to give as a gift or to send out. 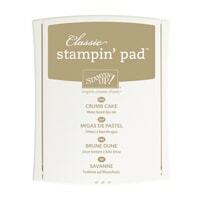 Here’s a look at one example by Stampin’ Up!. Image copyright by Stampin’ Up! This is a quick and easy card that you can recreate in a matter of minutes using just a few supplies. Which at this time of year we all need that type of card. Here are the supplies that that you will need to recreate it. Pool Party cardstock cut at 1/2″ x 3 1/4 with one end snipped into a flag shaped banner. Cut all of your card bases and stamping pieces all at the same time. You will cut your card base using Crumb Cake cardstock cut at 5 1/2 x 8 1/2 scored at 4 1/4. Your stamping piece is cut at 3 1/2 x 5″. If you wanted to step up the card you could simply change the Whisper White for Shimmery White which would add more sparkle to the card. 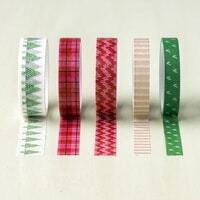 Also go ahead and cut your 1/2 x 3 1/4″ pieces of Pool Party cardstock for your banners. 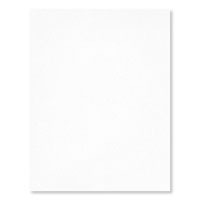 Stamp all your focal images on the whisper white cardstock using Crumb Cake ink. Once all this is done you will add your snowflakes to the focal image using Pool Party Classic Ink. Once you have all this stamp go ahead and color the angels cheeks with a little Blushing Bride classic ink by using a blender pen. You will squeeze the lid while closed to place ink on the top of the lid, this will become your pallet. 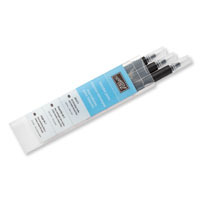 Take the blender pen and place the tip in the ink and color small circles on the cheeks. 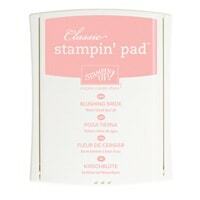 If you have a Blushing Bride Stampin’ Write Marker you can skip this step and use your marker to do the same thing. 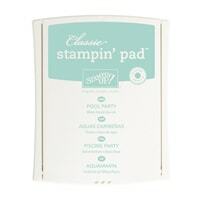 Stamp your sentiment in Pool Party ink on the Pool party cardstock. One you complete all of them snip the left end into a flag banner. You will attach this to the front of the card by using snail adhesive. 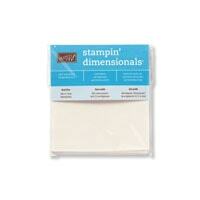 Once you have all this done you can place Stampin’ Dimensionals on the back of the focal image. I like to put one in each corner and one in the center. Don’t remove the backings yet. 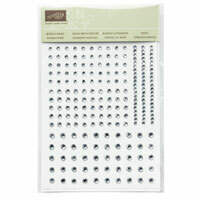 Turn the focal image back over and add some Stampin’ Rhinestones to the front about three. Take the Crumb Cake Washi tape from the Warmth & Cheer Designer Washi and Place it to the left of where you are going to put the focal image. 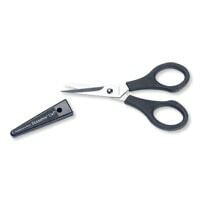 This should be about 1/4 to 1/2 inch from the left edge. Once you have done this you can now peel off the backings of the Stampin’ Dimensionals and place each focal image slightly over the washi tape. You should leave about 1/4″ border on the right hand side. Place the sentiment banners that we stamped on the front of the cards using Snail Adhesive and your cards are now complete. You can also use this stamp set to create other cards as well just by changing the cardstock and how your create the card. You can stamp your focal images and either color them with watercolor (like pictured in the alternative card) or with markers. Thanks for dropping by today and I hope that you give this quick card a try either the quick and easy version or the stepped up version pictured above. If you want to recreate this card now is the time to order the supplies this stamp set is part of the Online Extravaganza Sale that ends Monday Night at 11:50 pm Mountain time, and you could save 10% on this set. After tomorrow the stamp set will go back to the regular price until the end of the Holiday catalog or until it is sold out.